Medea Benjamin is an American political activist and the co-founder of the women-led peace group CODEPINK and the co-founder of the human rights group Global Exchange. She has been an advocate for social justice for more than 40 years. Described as "one of America's most committed -- and most effective -- fighters for human rights" by New York Newsday, and "one of the high profile leaders of the peace movement" by the Los Angeles Times, she was one of 1,000 exemplary women from 140 countries nominated to receive the Nobel Peace Prize on behalf of the millions of women who do the essential work of peace worldwide. She received numerous prices, including: the Martin Luther King, Jr. Peace Prize from the Fellowship of Reconciliation, the Peace Prize by the US Peace Memorial, the Gandhi Peace Award, and the Nuclear Age Peace Foundation Award. She is a former economist and nutritionist with the United Nations and World Health Organization. In 2000, she was a Green Party candidate for the California Senate. During the 1990s, Medea focused her efforts on tackling the problem of unfair trade as promoted by the World Trade Organization. Widely credited as the woman who brought Nike to its knees and helped place the issue of sweatshops on the national agenda, Medea was a key player in the campaign that won a $20 million settlement from 27 US clothing retailers for the use of sweatshop labor in Saipan. She also pushed Starbucks and other companies to start carrying fair trade coffee. Since the September 11, 2001 tragedy, Medea has been working to promote a U.S. foreign policy that would respect human rights and gain us allies instead of contributing to violence and undermining our international reputation. She has organized many protests against the U.S. interventions in Iraq, Afghanistan, Libya, and Syria. Medea has also been on the forefront of the anti-drone movement. Her direct questioning of President Obama during his 2013 foreign policy address, as well as her trips to Pakistan and Yemen, helped shine a light on the innocent people killed by US drone strikes. 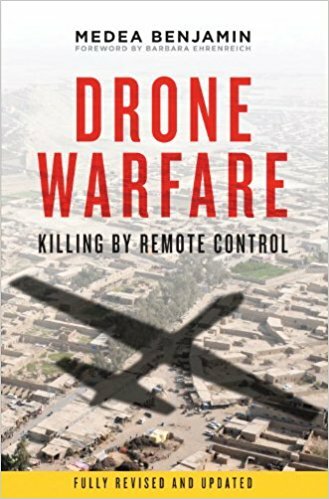 She published Drone Warfare: Killing by Remote Control in 2013. She also organized the first-ever international drone summit and lead delegations to Pakistan and Yemen to meet with drone strike victims and family members of Guantanamo Bay prisoners. She wrote the forthcoming book Kingdom of the Unjust: Behind the U.S.-Saudi Connection, and organized an international summit on Saudi Arabia in March 2016. Her work for justice in Israel/Palestine includes taking numerous delegations to Gaza after the 2008 Israeli invasion, organizing the Gaza Freedom March in 2010, participating in the Freedom Flotillas and opposing the policies of the Israel lobby group AIPAC. In 2011 she was in Tahrir Square during the Egyptian uprising and In 2012 she was part of a human rights delegation to Bahrain in support of democracy activists; she was tear-gassed, arrested and deported by the Bahraini government. Benjamin is the author of nine books and her most recent is ‘DRONE WARFARE’. Her articles appear regularly in outlets such as The Huffington Post, CommonDreams, Alternet, The Other Words, and TeleSUR. 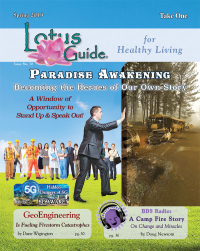 Medea can be reached at: medea@codepink.org or @medeabenjamin. If you'd like to book Medea Benjamin for an event or have questions about an event listed below, please contact Brienne at brienne.pa@gmail.com.